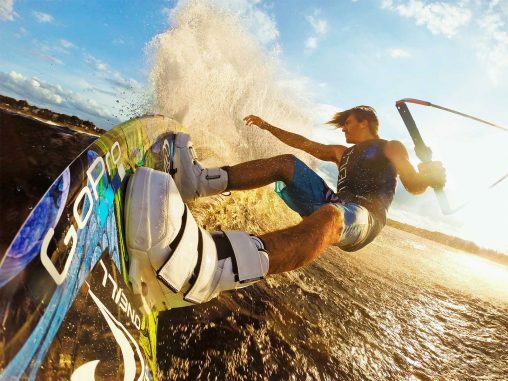 GoPro’s most advanced product, the Hero4 Black (RRP $679), is targeted at prosumers — the market segment between professional and consumer. It captures cinema-quality 4K video at 30 frames per second (fps), 2.7K video at 50fps and 1080p video at 120fps. 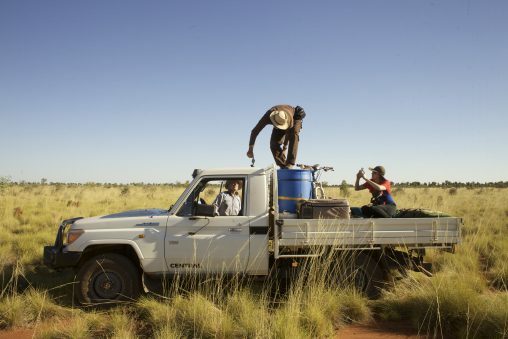 In this guest review, filmmaker J.Ollie Lucks straps on the Hero 4 Black and sets out across the Australian outback. 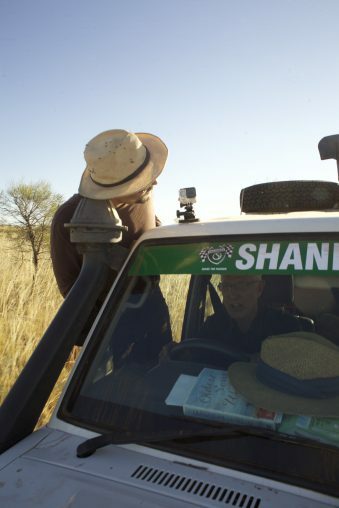 The GoPro is attached to the roof of the crew’s 4WD. 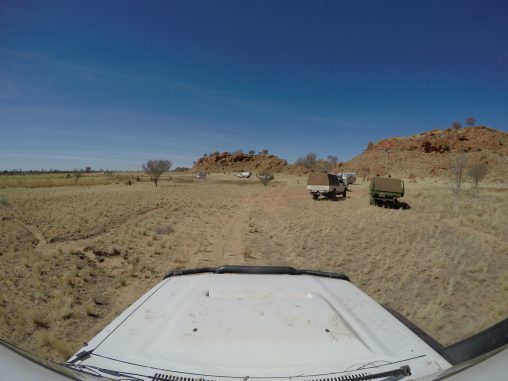 On a recent trip to the Great Sandy Desert, 200 kilometres west of Alice Springs, I was fortunate to work with the GoPro Hero4 Black. We documented a difficult search for the notoriously hard to find Waterloo Wells. This meant the GoPro had to endure temperatures up to 41 degrees Celsius, zoom over sand dunes while strapped to every imaginable part of our 4WDs and be easy to use in high pressure, time sensitive situations. The camera with its endless mounts was easy to set up on glass and metal surfaces, thanks to the supreme suction mount. A packet of wet baby wipes allowed me to quickly wipe down sandy surfaces while at the same time applying a wet film for the suction to have an even better grip. In terms of setting up the camera itself, the firmware, which you navigate via three buttons, proved to be clunky and counterintuitive at times. I couldn’t shake the thought of how much more logically the menus could be navigated with only two buttons. Once you get your head around it you will be able to change settings more efficiently, however in the two weeks I had with the camera, fiddling with settings simply took up too much time. This did become an issue in time sensitive situations when, for example, a convoy of nine 4WDs is waiting in blistering heat for you to set up the camera so that they can continue their journey. Speaking of heat: I used the GoPro in extreme conditions and the cameras operated perfectly except for one time where it switched itself off (and would not come on again) due to overheating. After hours, in a tight, airproof plastic enclosure, on a bonnet with a steaming V8 under it and uncompromising sun blistering above it, that’s fair enough. In fact, I was amazed the GoPro did not turn itself off more often. The GoPro had to perform in extreme heat. I used an additional battery pack strapped to the GoPro’s back which would have added even more heat but was necessary to be able to use the camera for a full day without recharging. The heat would have decreased its battery life, but shooting in May (which means short days, long nights in Australia) meant I was more limited by space on the micro SD card than the battery life. Shooting in 4K allowed me to capture just over an hour of footage on a 32GB card. It’s great to see GoPro added different crop options when shooting in smaller than 4K, however once you see the glorious 4K image, it is hard to go back to 1080p. Back in civilization I now have the pleasure to work with beautiful footage that captured the intensity of the trip, with all its bumps and knocks. 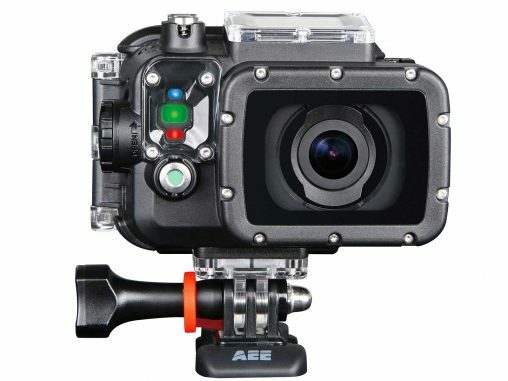 I have worked with a few action cams and there just isn’t anything on the market that comes close to the image quality of a GoPro Black in 4K. Period. And when you go through all the trouble of organising a trip into difficult country, far away from civilization, why wouldn’t you come back with the best possible record of that? J.Ollie Lucks is an award-winning editor and director. He has made short films for clients such as Meridian Energy, Sydney University, AJ Hackett, and the Vodafone Foundation. He is currently working on a documentary for Prime New Zealand. The view from the GoPro. And the point of reviewing this product in an environment where 99% of people would not use it, is what exactly?